Rarely does someone in the music industry come up with such a raw "warts & all" book as this. Whether in writing this Ron Hacker felt he had to purge his soul, or for whatever reason, he has waited until he was a 60 Yr. old to tell of his extremely tormented early life. Word's of warning; this is not a book to lay around the house for those under age, or the easily offended. After undergoing an early childhood that may even overshadow that of Louisiana Red (Iverson Minter), Ron hustled, while going through life like a ball in a bagatelle, after a truly dysfunctional upbringing. The images of Indianapolis the author conjures in his book are as telling as those televised in Katrina battered New Orleans. Though the book often languishes in the sordid & torrid, I was drawn to a story as rich as any great American folk tale. 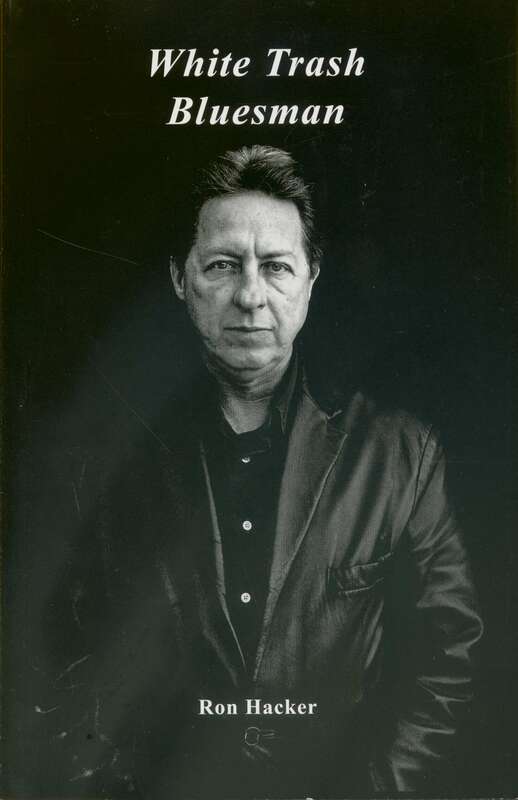 The reader follows the author from his birthplace Indianapolis to Germany, Florida, San Francisco and many regrettable returns to Indiana that took thousands of miles and many years to cool a broiling fire, a man so ill at ease in society. Before finding music as a form of expression and release, Ron had a go at being a hippie, a thief, a carpet fitter, an army tank instructor, a bottle packer, a fast food fryer, a gardener, working in the later to be known as silicone valley, and as a pimp. James Dean portrayed an angry young man, and became a screen legend; off screen Ron Hacker and countless others lived that life, scarring inside & out. In retrospect not a path he would have chose, nor a past I'm sure he is proud of, but a biography of baggage he inherited and that he made his own. 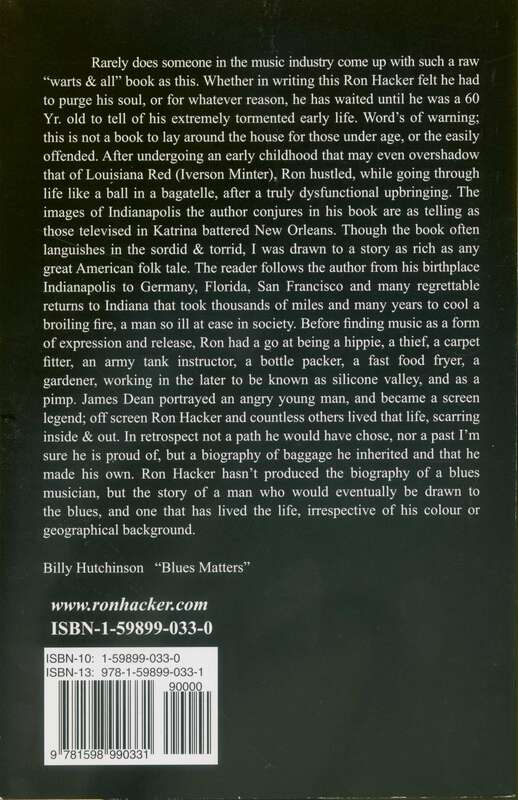 Ron Hacker hasn't produced the biography of a blues musician, but the story of a man who would eventually be drawn to the blues, and one that has lived the life, irrespective of his colour or geographical background. Customer evaluation for "White Trash Blues Man"
Von Buddy Guy über Muddy Waters zu Eric Burdon, Keith Richards, Eric Clapton zu BB King ich habe viele Biografien gelesen, keine war so wie diese hier von Ron Hacker. Auf 250 Seiten breitet er sein Leben vor uns aus. Es war nicht einfach das Leben dieses Blues-Musikers. Er lässt uns sehr Tief in sein Leben und seine Seele schauen. Seine Kindheit ein Drama für sich. Er verdiente sein Lebensunterhalt als Dieb, verlegte Teppichböden, stand am Grill und hat Burger gebraten, füllte Flaschen mit brause und Bier ab, fuhr in der Armee ein Panzer, war Gärtner und Zuhälter bevor er Musiker wurde. Seine Frauengeschichten liest man mit einem lachenden und einem weinende Auge. So mancher Lacher blieb mir im Halse stecken. Sehr zu empfehlen, nicht nur für Blues Fans denn hier zeigt uns jemand das Innenleben eines Musikers der zeit seines Lebens Unterwegs ist.